If you ever want to prepare a simple side dish, I have just the recipe for you. These Skillet Roasted Artichokes require only six ingredients, and they are a breeze to prep for baking. 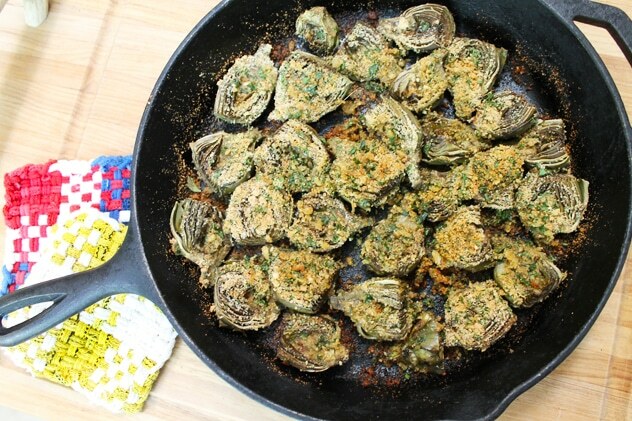 The golden breadcrumb topping gives a nice crust to the juicy artichokes. 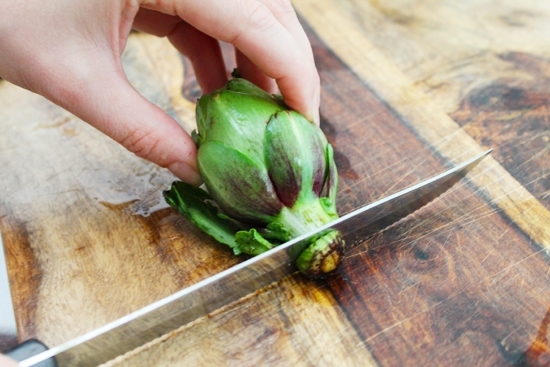 Start off by rinsing the artichokes in water, and then trim off a sliver of the stems as well as the top. Pull off a layer or two of the outer leaves and carve away the remaining base, making it smooth and without any extra leaves sticking out. 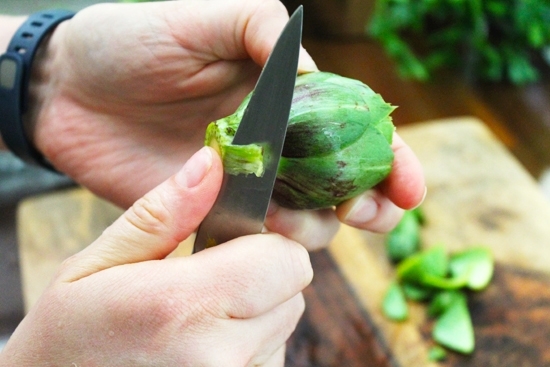 Next, cut the green beauties into halves like so. Arrange them heart-side-up in a skillet. Then chop your parsley. Cut the herb at a diagonal angle so the stems are still in tact, but the leaves fall off easily. 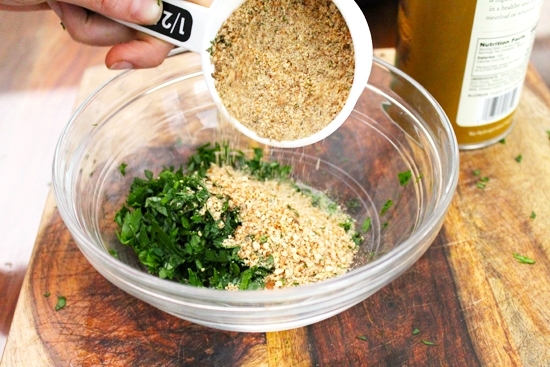 Add your chopped parsley to a bowl along with the golden brown breadcrumbs. Next, add in the parmesan cheese. Then mince your garlic. 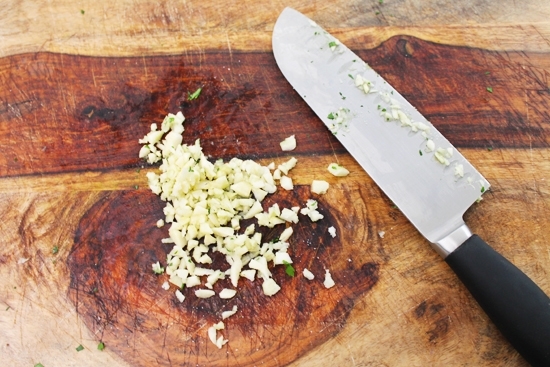 If you want to get fancy, add a dash of salt to the minced garlic while you chop, and then mash it with a knife–this creates a nice paste! 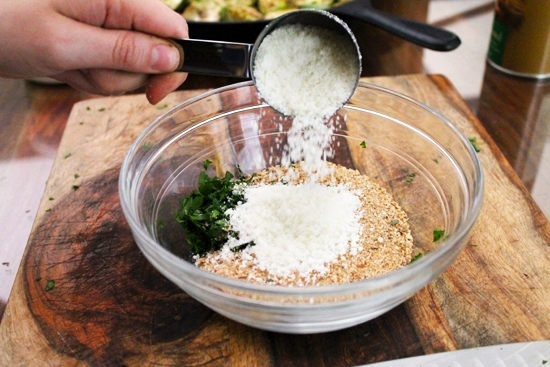 Stir together with a spoon (or with your hands), the breadcrumbs, parsley, parmesan cheese, and garlic. 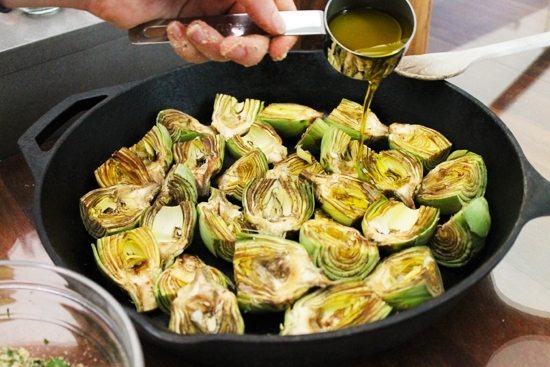 Drizzle the olive oil onto your artichokes. 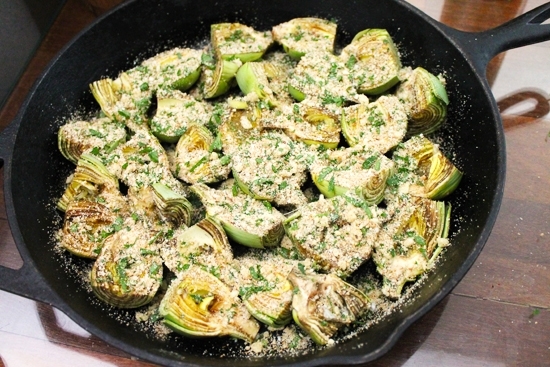 Sprinkle the breadcrumb mixture over the artichokes and drizzle a little olive oil over the top, this will eventually give them a light crust and great flavor. Pop them into the oven at 400 degrees for 25 minutes. 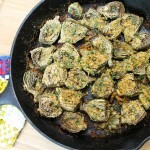 After you let them cool slightly, your Roasted Artichokes are ready to eat! The easiest and tastiest side dish you will ever create, thanks to six simple ingredients. Enjoy! 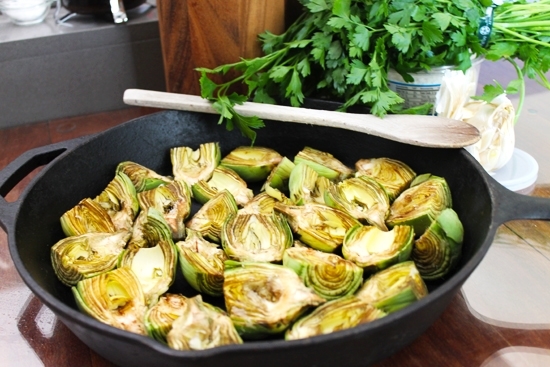 Cut a sliver off of the stems and a little off the tops of the artichokes. leaves, so it is smooth. 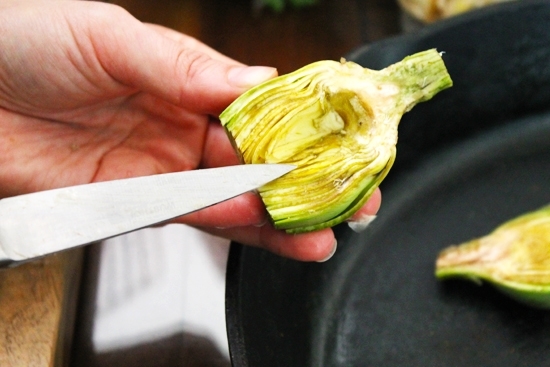 Cut them in half and remove a little from the center so you have almost bowl-like artichokes. 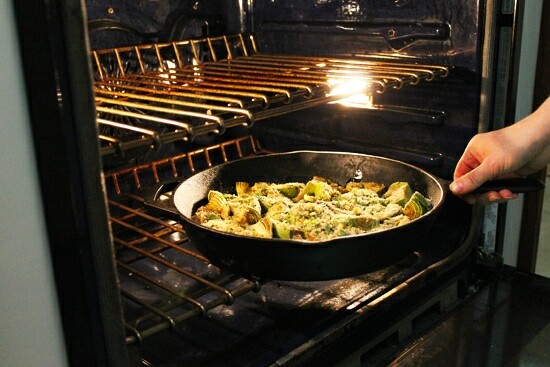 Arrange them heart-side-up in the skillet. 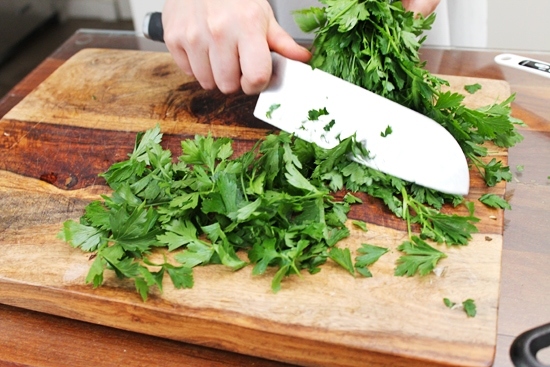 With a knife, cut ½ cup of parsley at a diagonal angle so your stems are still in tact but the leaves fall off easily. 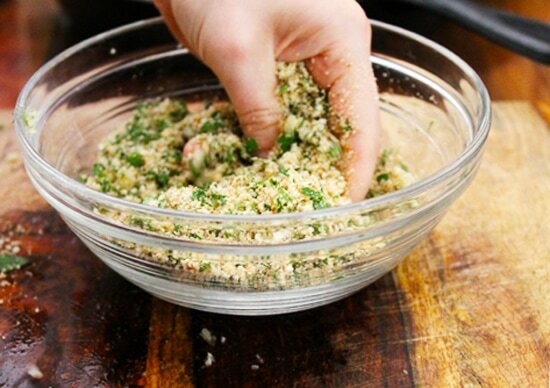 Add the parsley into a bowl along with ½ cup breadcrumbs, ¼ cup parmesan cheese, and 3 cloves of minced garlic. Stir ingredients together. 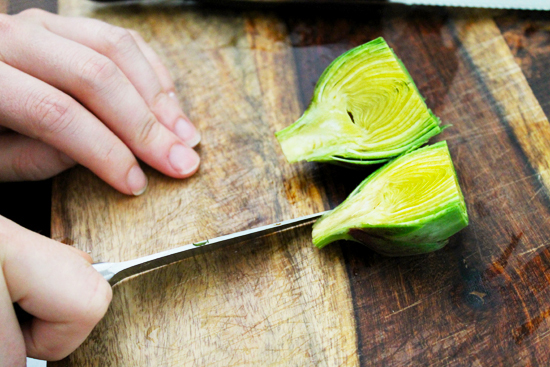 Add ¼ cup olive oil to artichokes. 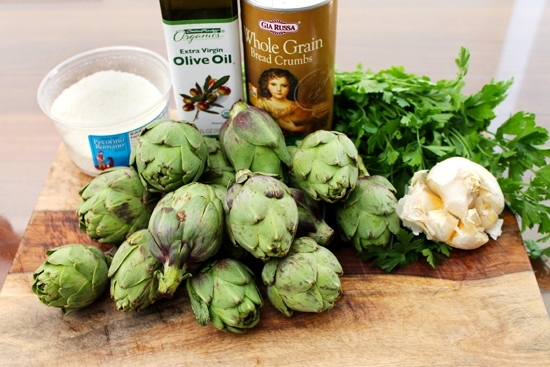 Sprinkle the dry breadcrumb mixture over the artichokes, and add a drizzle of olive oil to top it off.